Chabad of RARA in North Queensland have constantly visited Townsville for many decades. In 2016 they set up a North Queensland base in Cairns with constant visits to Townsville. They have initiated educational and social programs that cater to both the local Jewish community and to the significant population of visitors, whether coming for business or leisure. Chabad of RARA in North Queensland provides Rabbinic leadership, kosher food and other religious requirements to the local Jewish community, as well as for Jewish visitors. Many Israeli citizens pass through Townsville each year as well as hundreds of Jews of other nationalities. It is for this reason that Chabad of North QLD is in the process of establishing special programs to provide a “home away from home” for these “backpackers”. 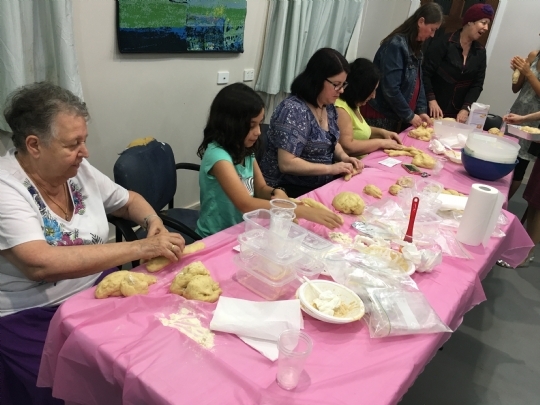 Chabad of North QLD welcome these travelers offering them assistance, guidance, a listening ear and providing a powerful and memorable Jewish experience. Contact us for the newest developments of this small Jewish Community, see here for updates.